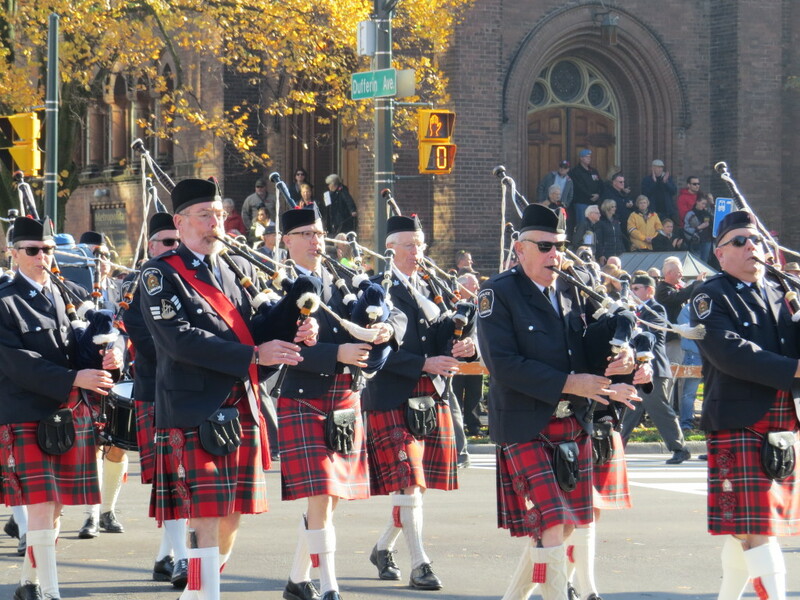 Under sunny skies, thousands of Londoners gathered to honour Canadian veterans at the city’s annual Remembrance Day ceremony. 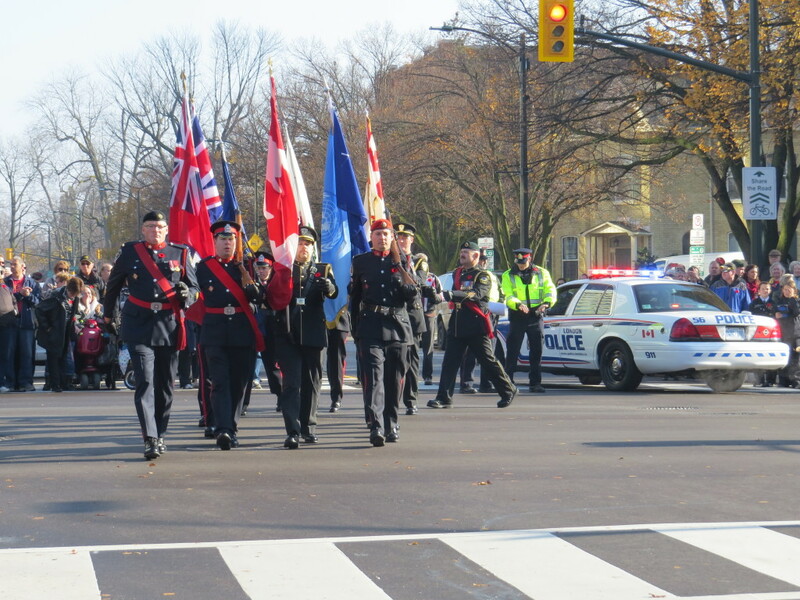 The streets surrounding the Cenotaph in Victoria park were lined with people, young and old, applauding loudly as veterans, Canadian Forces personnel, police officers, and cadets marched up Wellington St. The crowd joined in as the Catholic Central Chamber Choir sang O’Canada. That was followed by Last Post and two minutes of silence. 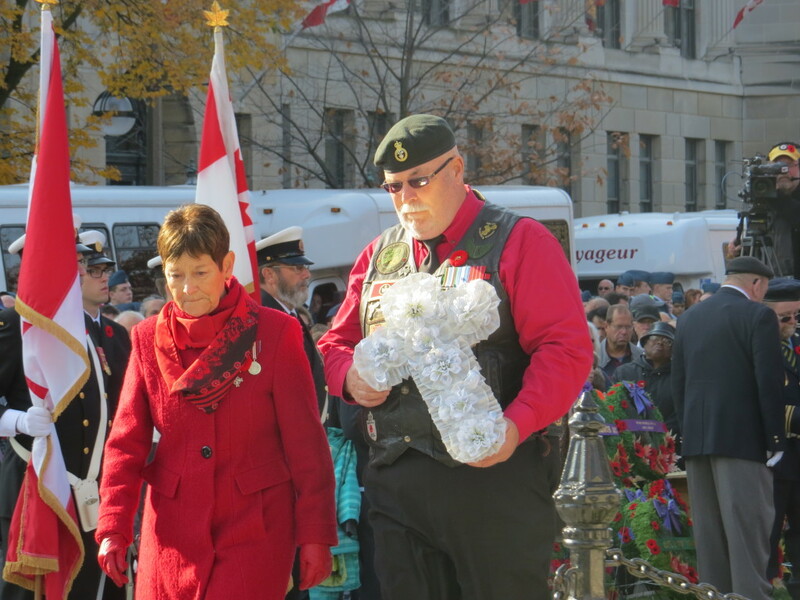 Wreaths were laid at the foot of the monument by dozens, including Silver Cross Mother Carolyn Wilson. 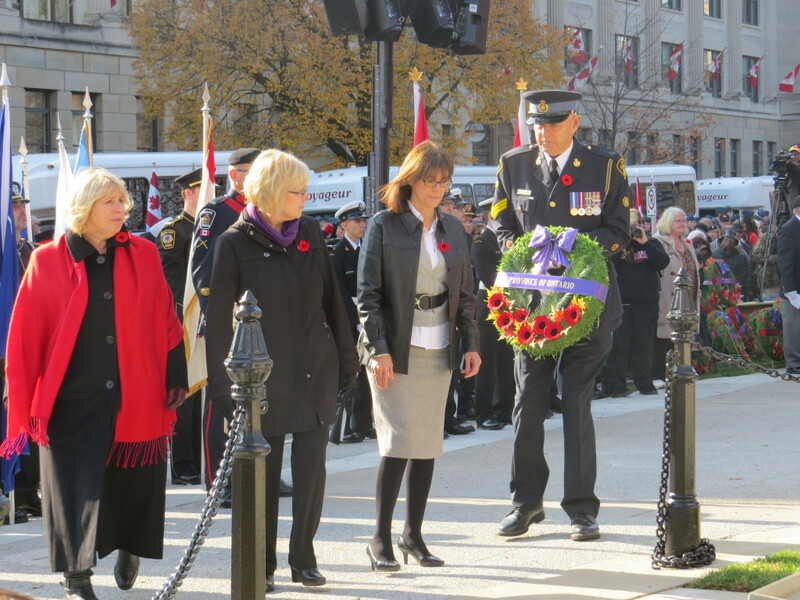 Her son, Trooper Mark Wilson, was killed while serving in Afghanistan in 2006. 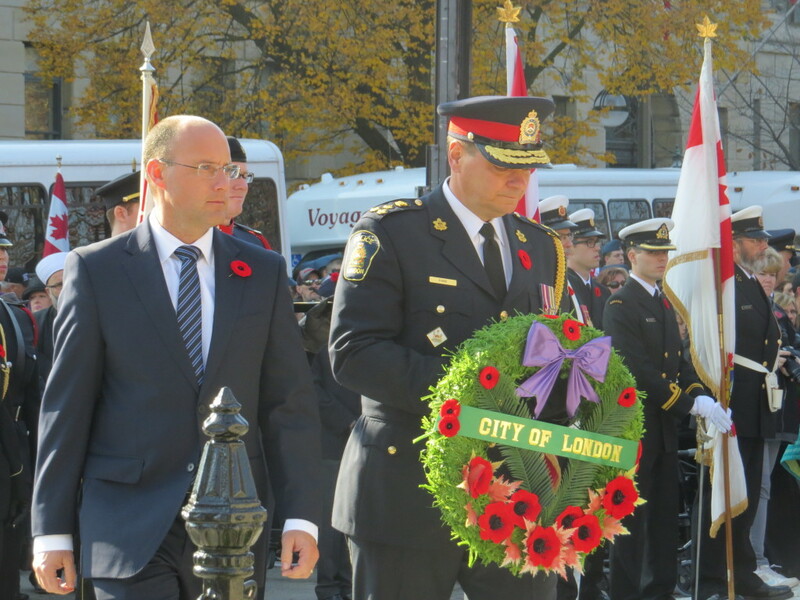 Mayor Matt Brown, London Police Chief John Pare, MPs Irene Mathyssen, Peter Fragiskatos and Kate Young, MPP’s Deb Matthews, Teresa Armstrong and Peggy Sattler also laid wreaths during the ceremony. Veteran Stanley McParland, 91, served three and a half years in the Second World War as a Lancaster bomber pilot. He took in the ceremony with this daughter Muriel and granddaughters Nicole, Michelle and Brittany. 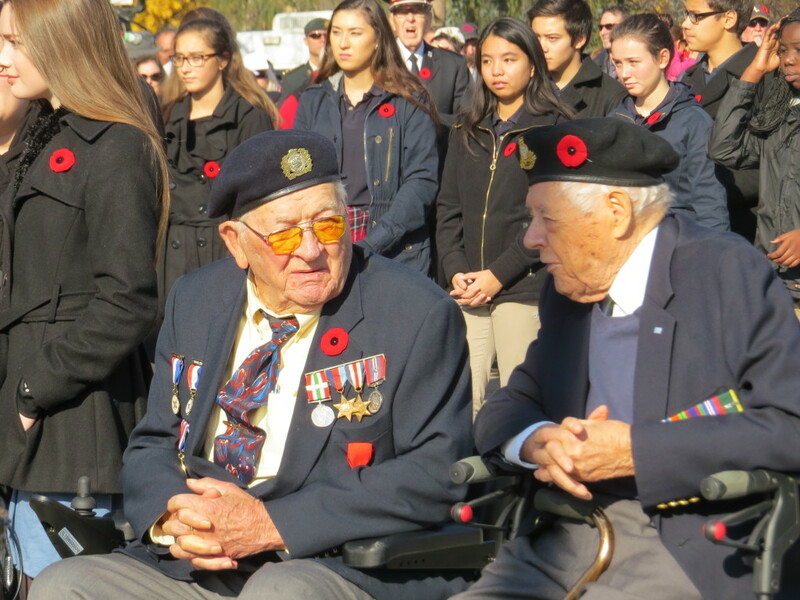 Michael Sydorko was among the Canadians who liberated the Netherlands in the Second World War. On a recent trip to Holland he encountered two elderly women who recognized him as a veteran by his uniform. 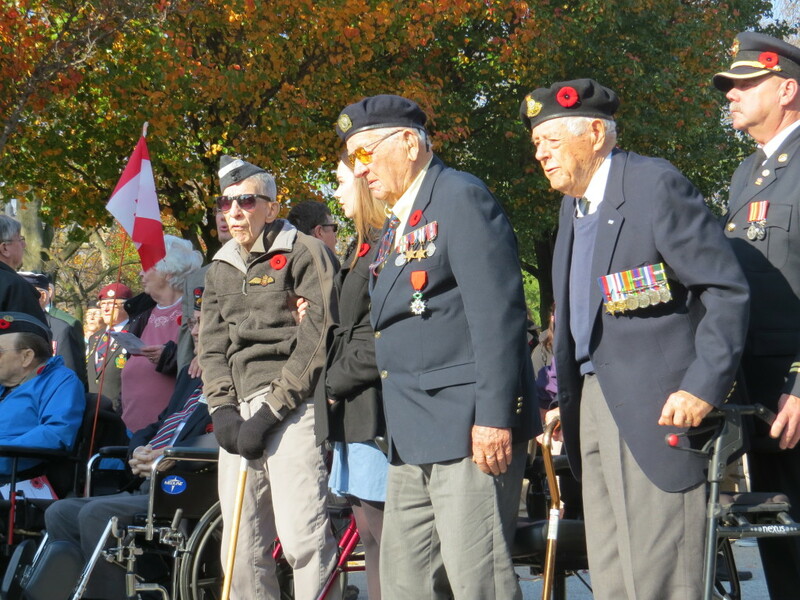 A private ceremony was held at Parkwood Hospital for the veterans unable to attend the service in Victoria Park. 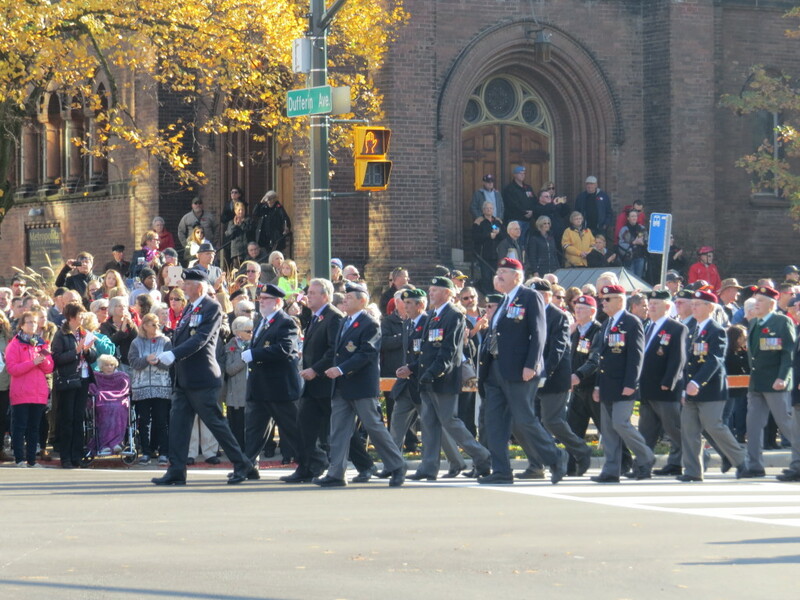 In Ottawa, roughly 35,000 people gathered at the National War Memorial. Many left their poppies on the Tomb of the Unknown Soldier following the service. Sheila Anderson of Yellowknife was this year’s Silver Cross mother, representing all mothers who have lost children in military service. Her 25-year-old son, Corporal Jordan Anderson, was killed by a roadside bomb in Afghanistan in July of 2007.